Switchboard incorporates a powerful audio engine that allows for low level customization and mixing of different audio channels. These channels may include music, video, or ambient sounds (picked up by device microphone). We have an integrated voice activity detection mechanism that determines when the user is speaking. This can be used with music features to allow for always-on voice communication with automatic ducking of background music. Listen to music together, simultaneously. 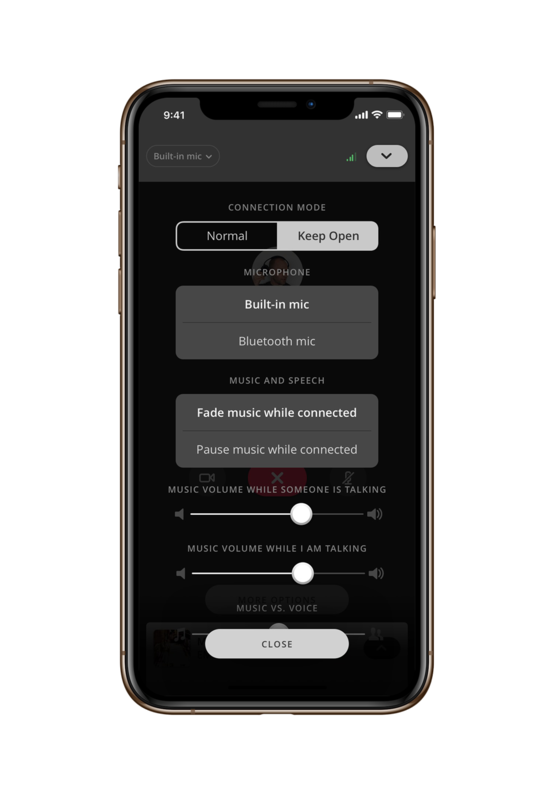 Unlike other “listen together” parties, people can actually talk thanks to voice detection and automatic volume adjustment. You can passively listen to music and have friends drop in, or you can start a music group and take turns being the DJ.